Warwick Taekwondo - Martial Arts training in the Sun! Our Warwick Taekwondo class making the most of the weather! Master Sediqi 6th Dan (pictured left) has been working hard with his new Warwick Taekwondo class at Myton School… and with the lovely weather we have been having the club has been making the most of the outdoor facilities. Working hard on their fitness and stamina as well as co-ordination, once they were suitably worn out they proceeded inside to work on their Poomsae (patterns) and flexibility to cool down. Excellent session last night!! Thank you Master Sediqi. Callum Smith on Our Warwick Taekwondo class making the most of the weather! 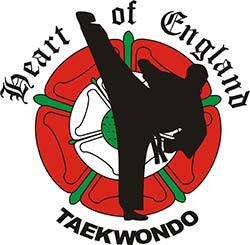 © Heart of England Taekwondo (2018) Bringing Olympic Taekwondo to Coventry, Leicester, Birmingham, Bedworth and Beyond since 1974.